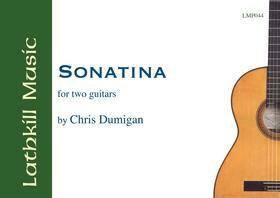 The second work for two guitars by this talented composer and very English in style. It has three movements - FANTASY, FOLK SONG and DANCE - and is very lyrical with many changes of mood. This excellent concert work is dedicated to the Eden-Stell Duo.